When people think of winter sports, the first thing that comes to mind are the Winter Olympics. Though this does, indeed, constitute the pinnacle of winter sporting events, there are so many other events that consist of winter sports. What’s more, winter sports is a term that really covers a large number of different games and events. For bettors, this is a great thing because that means, on an annual basis, there are hundreds of different events upon which you can wager. Naturally, some sports are more popular amongst bettors than others, however there is no shortage of sportsbooks that offer odds on winter sporting events. When it comes to how you bet on winter sports, there are a number of different ways by which you can do so. Apart from ski jumping, all of the aforementioned events are time-based. This means that you can wager on how a team or skier does against the clock. At the same time, you can also wager on how a specific skier does relative to another skier. We could go on and on, but there are plenty of different ways by which you can use the time to place wagers. There will even be over/under wagers on whether a skier will finish within or after a certain time. With regard to ski jumping, you are able to wager upon outright winners, but you can also place bets on how far a specific skier will jump in just a single attempt. Once again, there are plenty of different propositions that will exist, however almost all of them will revolve around how far a team or individual skier is able to jump. 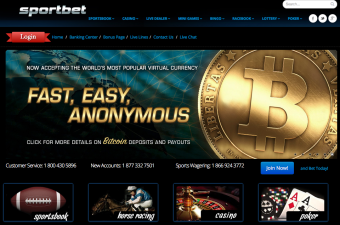 As for where you will find winter sports betting options, they can be found on just about any reputable sportsbook. Winter sports, and specifically skiing, may not seem very popular to you, but bettors in certain parts of the world absolutely love this type of sporting. Admittedly, skiing and wagering on skiing is more of a regional thing than anything else, but the fact of the matter is that you should be able to find at least a few winter sports betting options on most modern online bookies. When we speak of winter sports, most people immediately think of ice hockey as that is the quintessential winter sport. While that is the normal thought process, the fact of the matter is that hockey is so popular it exists in a category of its own. After you exclude hockey, there might be a host of other sports that might come to mind. 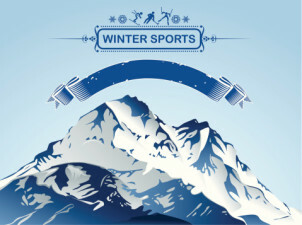 Regardless of this, winter sports is most often something that refers to the different type of skiing events that exist. You will see all of these skiing events at the Winter Olympics, but the fact of the matter is that you do not need to wait four years at a time in order to place wagers. 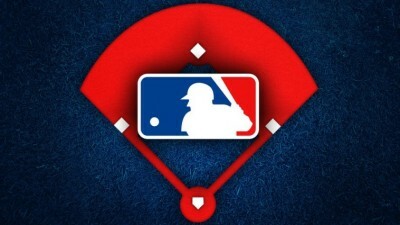 There are annual events held which give bettors plenty of winter sports betting opportunities. In fact, some types of skiing exist as a tour, which you can most accurately compare to something like Nascar, where the same racers go to different tracks and test their skill. Regardless, you can rest-assured knowing that there is a multitude of wagering options when it comes to winter sports. By definition, slalom, in its many forms, is where a skier races against the clock (or another competitor) and is forced to pass through gates while making their way down the hill. Depending upon the exact event (slalom, grand slalom, super giant slalom), the gates are spaced more widely apart from one another. Super giant slalom constitutes the fastest, most breakneck version, but slalom is said to be more technical, involving more skill. Before we talk about combined, it is important that we first mention downhill. Like slalom, downhill sees a racer facing off against another competitor and/or the clock while skiing down a slope. The major difference between slalom and downhill is that, in downhill, there are no gates that a skier must pass through. So long as they stay within the realm of the slope itself, anything goes. As you might have guessed, combined is the event that consists of a combination of slalom and downhill. Most often, combined will feature one run of downhill and two runs of slalom. When it comes to Alpine skiing events that are popular amongst bettors, the FIS Alpine Ski World Cup is probably top of the list. To take a step back, the Winter Olympics is by far the most bet-upon winter sporting event, however, that is held somewhat infrequently. The FIS World Cup is held annually and has been on line since the late 1960’s. The World Cup is actually a season, which consists of events held in multiple countries across Europe, the US, and elsewhere. In many ways, the FIS World Cup is said to be the premier alpine skiing event simply because it forces a person to perform many events throughout the year, rather than a few events once every 4 years. There is also the FIS World Championships, but this is an event like the Olympics and is held every other year. The infrequency of the event should, in no way, undermine the opportunities for bettors and popularity amongst them. Both events are wildly popular as these are the times when the world pays a lot more attention to winter sports than it does at most other points in time. As opposed to downhill, or alpine, skiing, which relies upon a steep slope and gravity to force the skier to the finish line, cross country skiing sees skiers rely almost entirely on themselves to move along a long course. Cross country skiing is, admittedly, not as fast-paced as alpine skiing, but it is impressive in its own right. These skiers are some of the best athletes in the world and race across distances that would even make some runners short-winded. You can mostly thank the slower pace of the sport for this, but there are not as many cross country events to wager upon as there are alpine events. With that being said, one event, held every two years, does make the cut as far as popular winter sports betting options are concerned. The Nordic Ski World Championships are held every two years and consist of more than just cross country skiing. With that being said, this is the marquis event for the sport and the one that features the most betting options. With 8 different events featuring hundreds of skiers from countries all over the world, there is no shortage of wagering options. Ski jumping, as its name implies, see competitors roll down a ramped slope in hopes of venturing furthest through the air. Ultimately, the skiers that can jump the furthest are deemed to be the best. When it comes to ski jumping, there are three different distances that are used in professional competitions. The distances are referring to the length of the ramp. Naturally, the longer the ramp the longer the skier will remain in the air before landing. Like alpine skiing, ski jumping is incredibly popular due to its exciting nature and awe factor. Biathlon, as its name implies, consists of two events. One of the events is a cross country ski of a certain distance, the second is a rifle shooting competition. While these two events may seem like they create an odd combination, it makes for great sport. After skiers get their heart rates up after skiing across large distances, they are then forced to keep their breathing under control in order to shoot rifles at a target. Naturally, the closer to the center of the target you are able to shoot, the better your shot of winning. After shooting, skiers are forced to get back into cross country mode and finish another leg of a cross country ski. The sport seems simple enough, but is incredibly challenging and one of the more arduous endeavors that exists in the world of sports. As is the case with almost every winter sport, the best time to bet on biathlon is via the Winter Olympics, but because this event is only held every 4 years bettors begin to search elsewhere. The Biathlon World Championships is an event that is held every year and consists of the absolute best biathlon athletes in the world. There are both individual and team events, and in total you will see more than 13 winners crowned. With so many different events taking place at the annual World Championships, it only follows that there are seemingly countless betting options. The Bitahlon World Cup is exactly like the World Championships in that it is held every year. The difference, however, lies within the fact that the World Cup is made up of a season wherein multiple different events play out. Typically, the World Cup season begins in November and concludes in March. For bettors, this is another popular event simply because it features a lot of betting options. Not only can you wager upon plenty of different competitions throughout the year, you can also wager on propositions that cover the entire season, such as what person/country emerges as overall champion.